The Vancouver Island Peace and Disarmament Network and the Physicians for Global Survival present Victoria’s annual commemoration of the horrors perpetrated by nuclear arms in Hiroshima and Nagasaki 72 years ago. The Hon. Judith Guichon will be present and introduce special guest speaker RUDI HOENSON, a well-known Nagasaki survivor and local philanthropist, who will read his poem, “Atomic Lament”. The Canadian government spends over $23.6 billion on the Department of National Defence and $9.8 billion on Public Safety and Emergency Preparedness but only $1.5 billion on Environment Canada, of which only $172 million is planned to be spent on "Climate Change and Clean Air" for the 2015, 2016 & 2017 budget periods. Canada is the 6th highest spender on the military among NATO countries and is the 16th highest worldwide. We cannot tackle the climate crisis and end poverty in our country, if we continue to waste our precious tax dollars on war and weapons. Let’s move the money from militarism to sustainability! Climate Justice, Tankers & Conservation of the Salish Sea: A Call to Action! -> Music to inspire action from "Decades After Paris" by Danton Jay & Heather Lynn! -> Screening of the short film Directly Affected! -> Speakers from Raincoast, Sierra Club and Turning the Tide! All welcome for this FREE event! Obama revenge for Netanyahu's Congress talk? 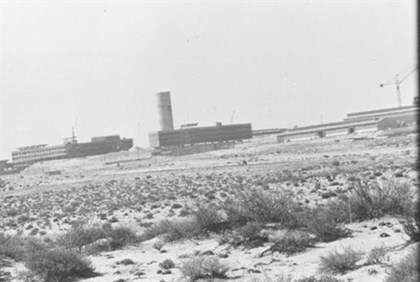 1987 report on Israel's top secret nuclear program released in unprecedented move. In a development that has largely been missed by mainstream media, the Pentagon early last month quietly declassified a Department of Defense top-secret document detailing Israel's nuclear program, a highly covert topic that Israel has never formally announced to avoid a regional nuclear arms race, and which the US until now has respected by remaining silent. But by publishing the declassified document from 1987, the US reportedly breached the silent agreement to keep quiet on Israel's nuclear powers for the first time ever, detailing the nuclear program in great depth. Remembering Peace – Wearing White Poppies. On November 11 we take a day from our work to reflect on the ravages of war. While people in uniforms carrying swords and guns gather at the Cenotaph we assemble at the Spirit of the Republic to hear other stories from other survivors. Our event is meant to be the sharing of stories from all comers. We’re inviting you to share your experiences, songs and poems. White poppies will be available free of charge.